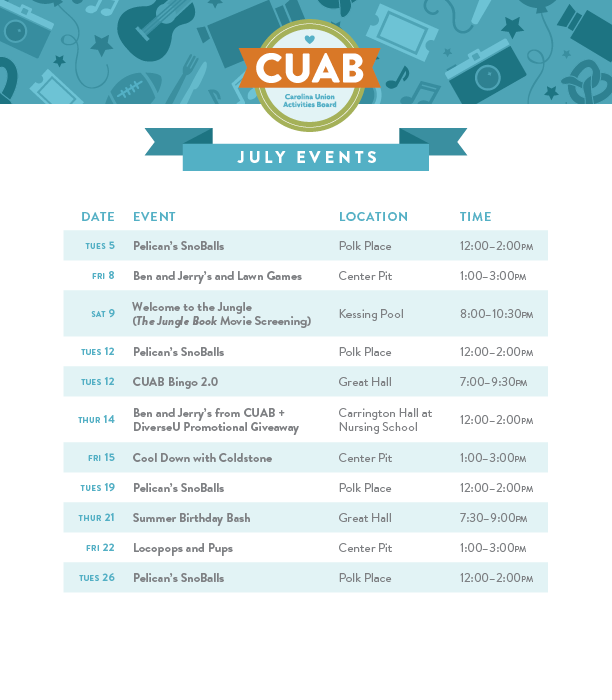 The CUAB July Events Calendar is here! The Carolina Union Activities Board enhances life at Carolina through high-quality programming and events for the entire University community all year round. This summer, CUAB is helping UNC beat the heat with cool programs, including frozen treats, pool-side movies, and more! See the schedule below for all the events coming up in July.